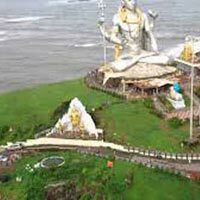 This scenic holy place, with its wonderful open beaches, jagged cliffs, mysterious coves and enigmatic quaint temples speak of an evasive culture of Gokarna. The temples offer to the religious, peace of Hindu rituals while sun, sand and surf compliment a reinvigorating holiday. This picturesque and charming beach is one of the five famed beaches of Gokarna and its sacred Hindu syllable like OM shape gives it the eponymous name. 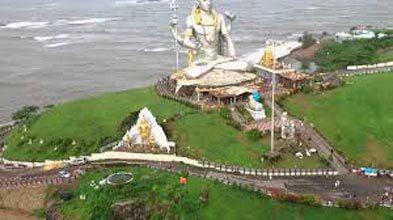 Gokarna – the typical Indian temple down, showcases the best Hindu religious presentation with the compelling tranquility of beaches.